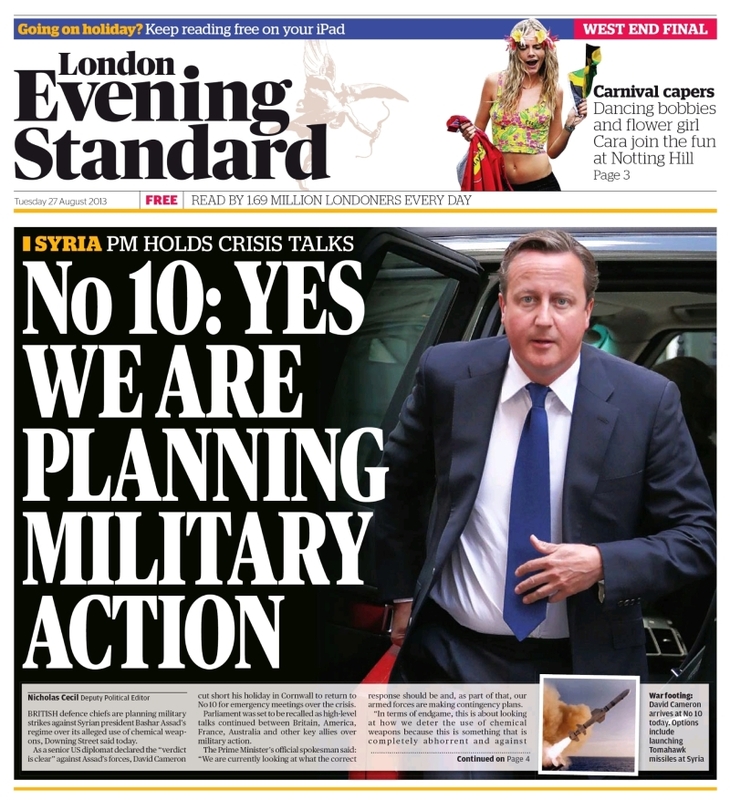 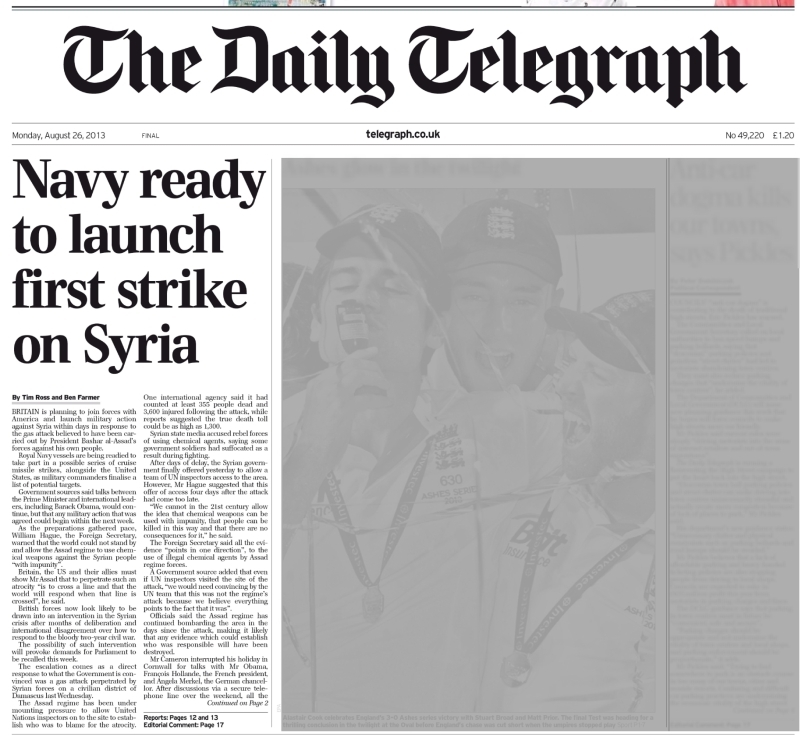 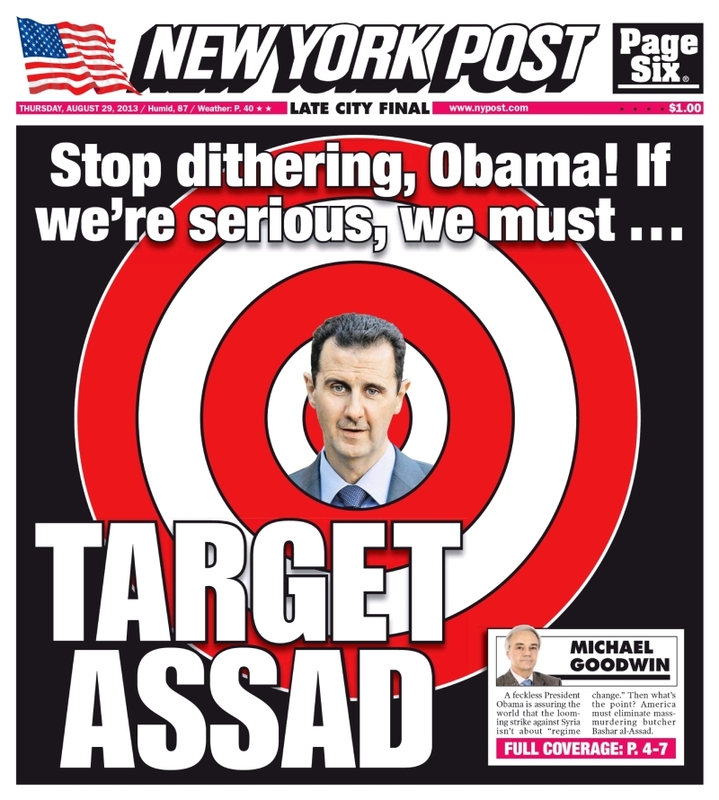 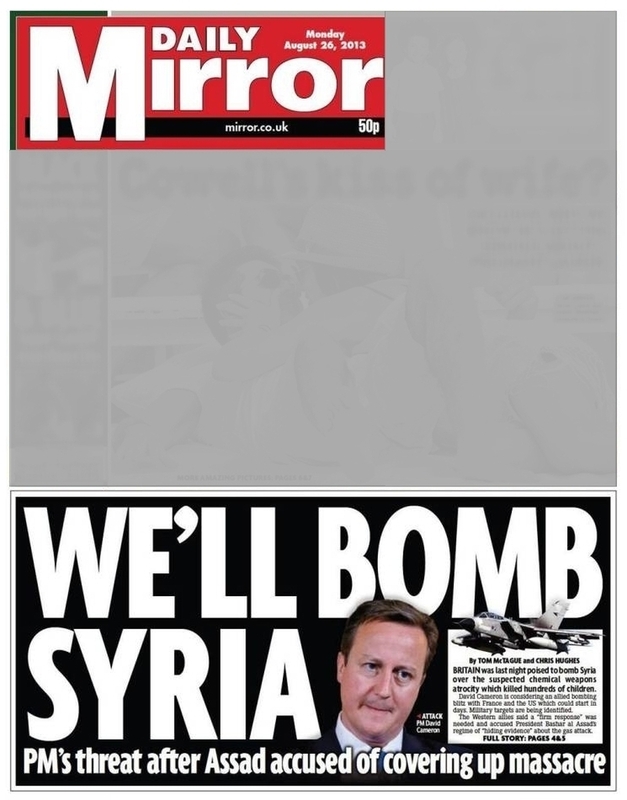 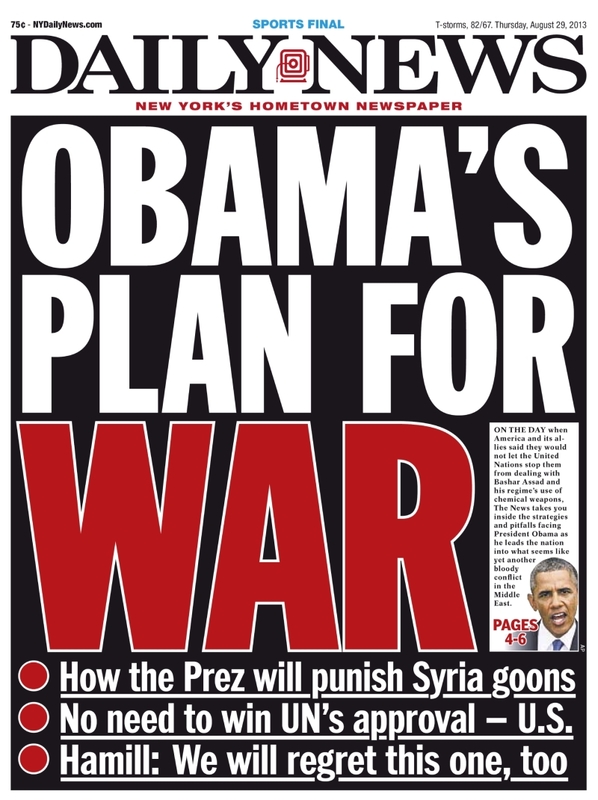 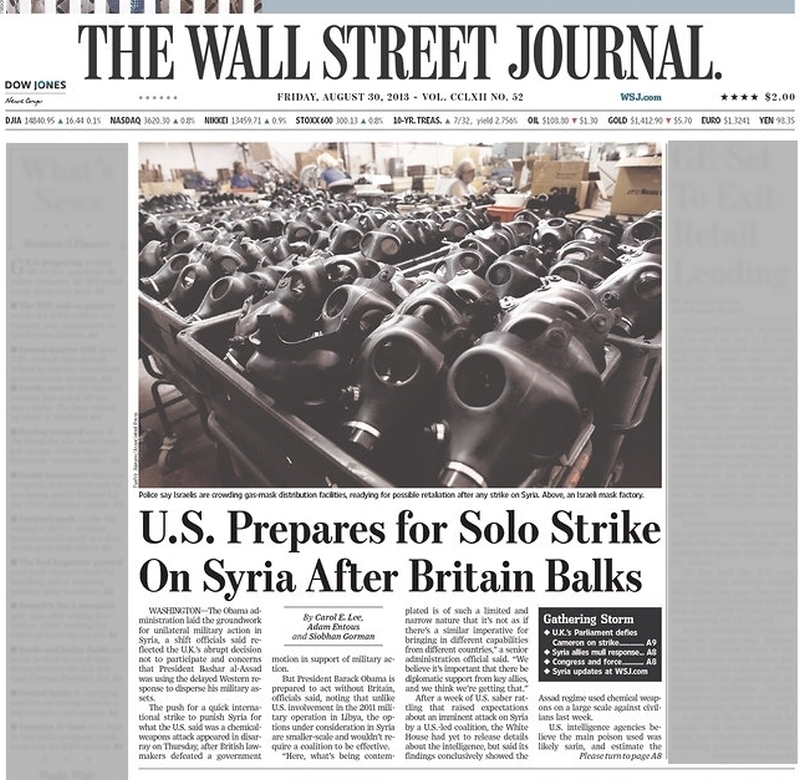 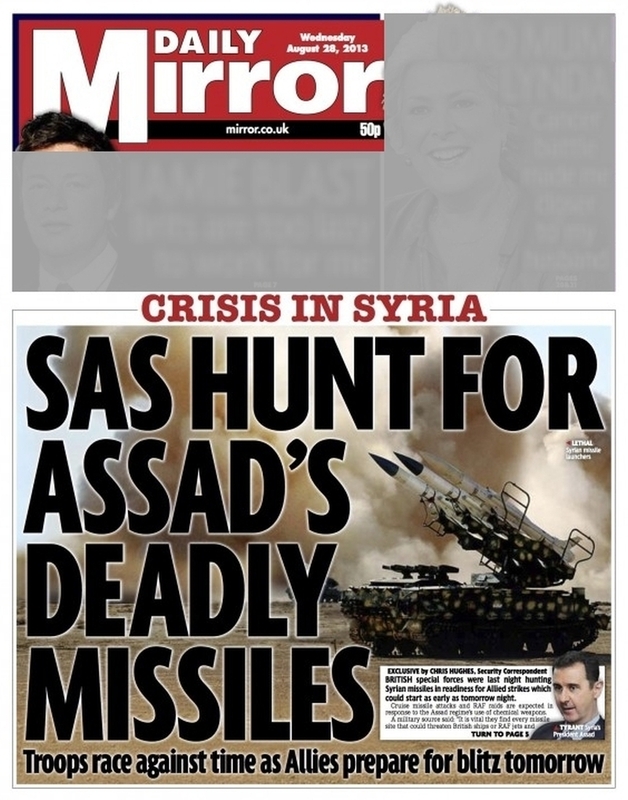 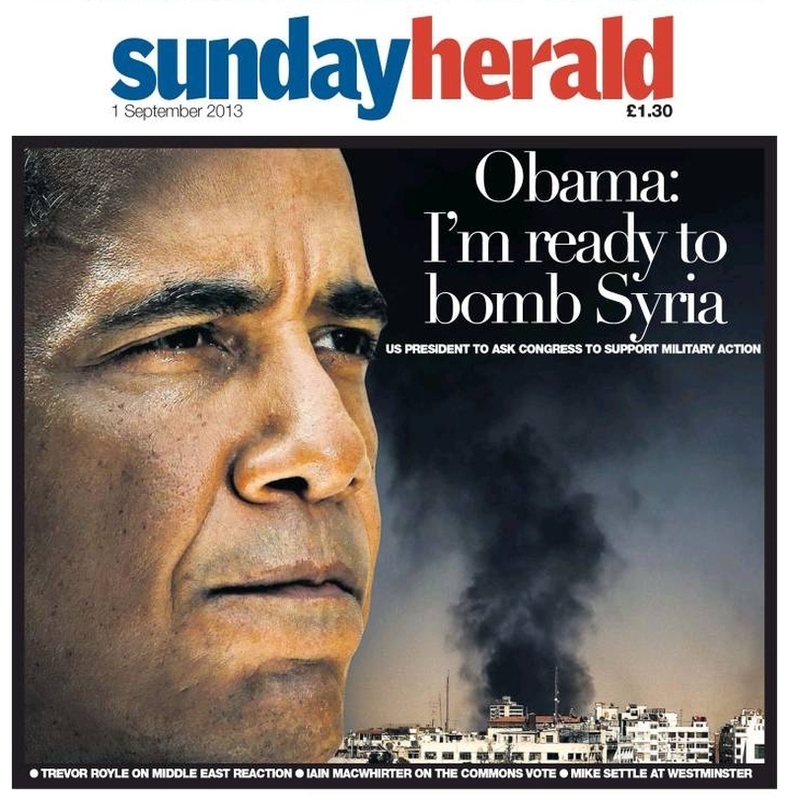 The front pages below from August 2013 constitute a vivid example of the relentless and utterly deceptive war propaganda against Syria. 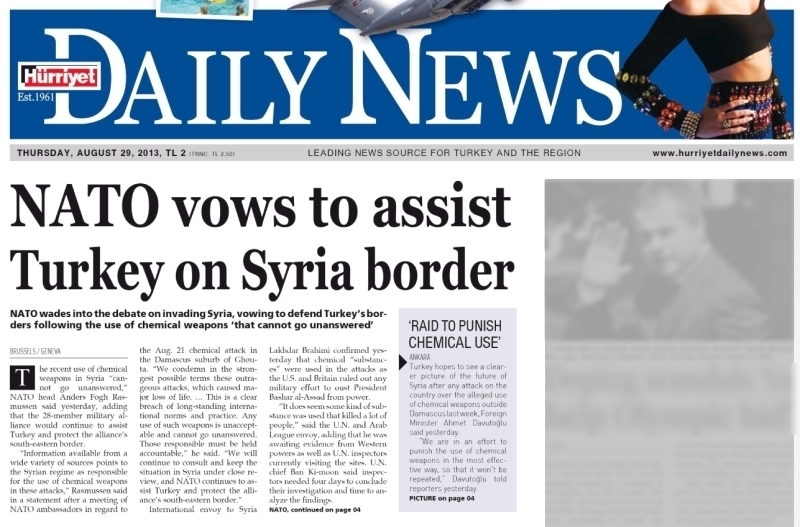 Now, with utmost impunity, the perpetrators of the genocidal war on Syria are declaring their plan to bombard Syrian territory under the guise of “collaborating” with the Syrian government against the “terrorists” who, in reality, are NATO’s mercenary death squads. 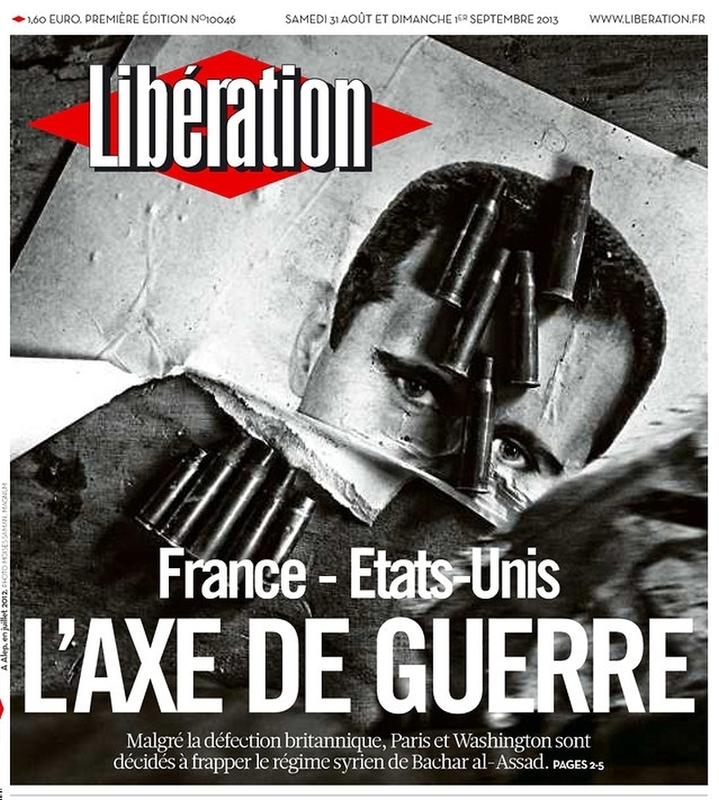 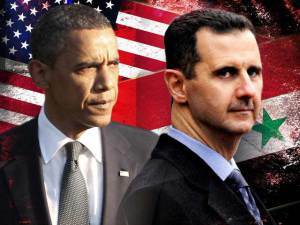 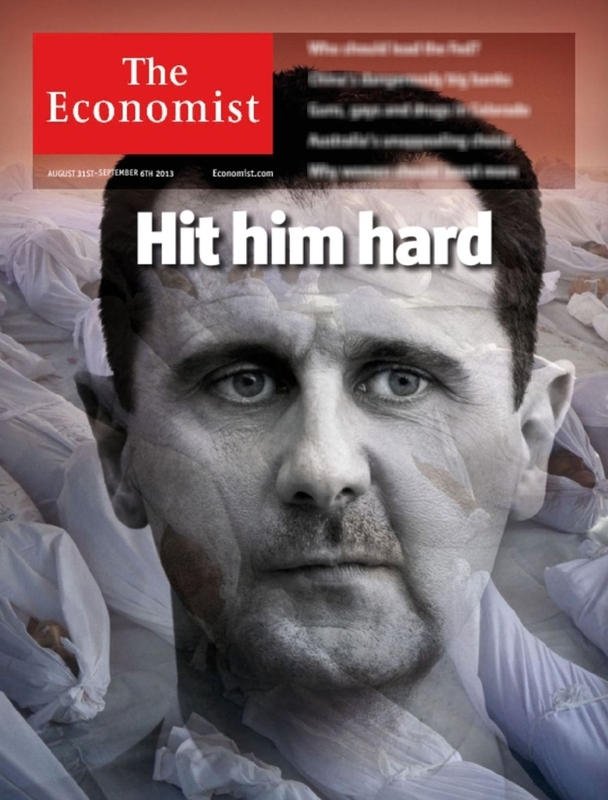 Despite Britain’s defection, Paris and Washington are determined to strike the Syrian regime of Bashar al-Assad.